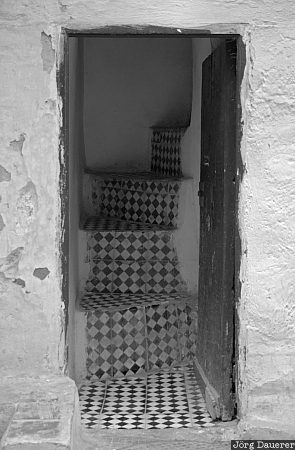 A stairwell covered with tiles behind an open door in Fès. Fès is in Fès-Boulemane in the northern part of Morocco. This photo was taken in the afternoon of a rainy day in March of 2010. This photo was taken with a digital camera.